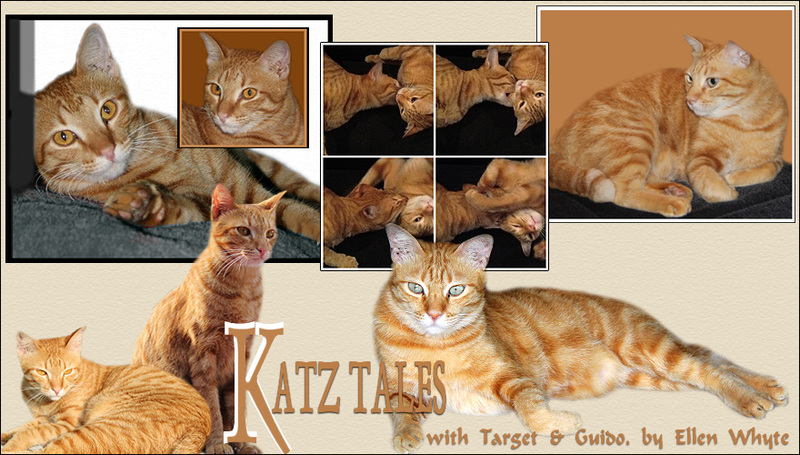 Katz And Other Tales: It's Target's Gotcha Day! It's Target's Gotcha Day today so we're celebrating! We will having extra cuddles, lots of treats, and we won't call him a fur brain all day long! We're also launching our new book today. Miracle Cat is the story of how our senior cat Au came whisker-close to death and then recovered - thanks in part to a new miracle drug that kills the FIV virus. This collection also includes stories of how Au and Target rule us all with a velvet paw as well as a section of general health tips for new cat owners. 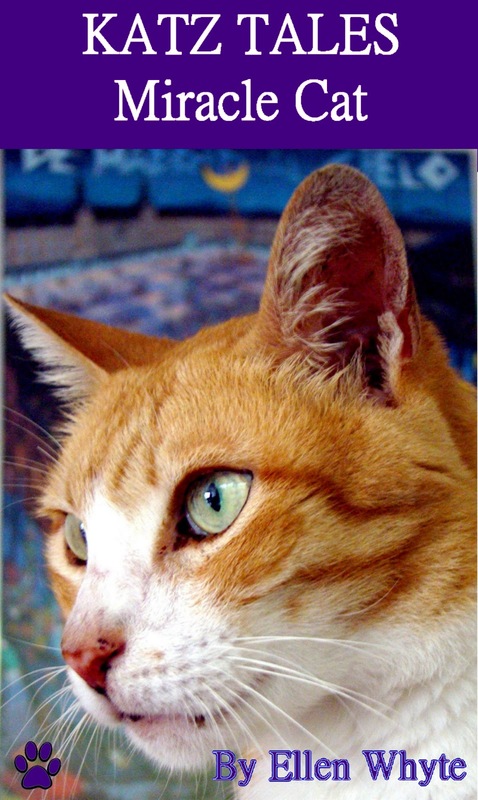 Buy Miracle Cat (US$1.99) or enter our Facebook page competition for a chance at winning a free copy! 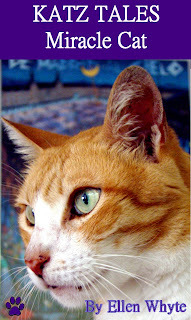 As with the other Katz Tales ebooks, all the $$$ goes to neutering and spaying the strays living in my back lane. Happy Gotcha Day Target!!! You found a great family. Have a wonderful day. And concats on the new book....mom doesn't have an e-reader but she knows it will be great. Happy Gotcha Day Target!!! I love seeing the itty bitty you! Happy gotcha day, Target! It sounds like you are having a great day! Happy Gotcha Day Target!!!!! We can't believe it has been 5 years. We are all fine, the Mom is just not being helpful. Happy Gotcha Day! Wow, you were such a tiny kitten tot back in the day. Look at you now. Happy Gotcha Day, Handsome Target! And WE know that deep down, you're a Cat Genius. Happy Gotcha day, handsome! And weren't you such a little cutie! Have a great day and no name calling. We gave you an award a while ago, but you posted about it, so we can't help you out there. Of course, you could give us the credit . . . The mom downloaded your free book, but then did something stupid & can't open it. She wanted to make sure she did it right before buying the other books. She'd have to try again, so don't feel too bad about lack of brains. There's plenty of that around here! We will buy your new book (we're so exicted!). Happy Gotcher Day Target, we will be getting mum's book. Lovely Target, I wish you a purrrfect day, happy birthday! Happy Gotcha Day Target = we hope you get all the treats you can eat and lots of kisses and cuddles too. I'm very impressed that you can use the iPad, I can't figure the darn thing out! Happy Gotcha day, Target! Aw you were so adorable as kitten! And you are so adorable now, too! HAPPY GOTCHA DAY TARGET!!!! Hoping you are having a CATABULOUS day full of tasty treats! Happy Gotcha Day Target! You were such a cute baby and now you're a very handsome Mancat! Happy Gotcha Day, Target - you are no fur brain - enjoy your day! Happy 5th Birthday handsome Target !! Happy Gotcha Day, Target! You were such an adorable cutie pie! Big purrs from Katie, Glogirly & Waffles. Of khourse, I wish I were khloser to make it a furry special kind of GOTcha day! Here's to many more tasty days ahead! Congrats on the new book! We will check it out. Target, you handsome little charmer! Many Happy Returns! Happy Gotcha day my furend! It is a good day because IT IS MINE TOO! Wheee! We are some lucky cats! Sorry I am late posting! Target was and is still so cute! Who Has The Biggest Tocks?